One of League of Legends’ most popular supports actually started life as a fighter. 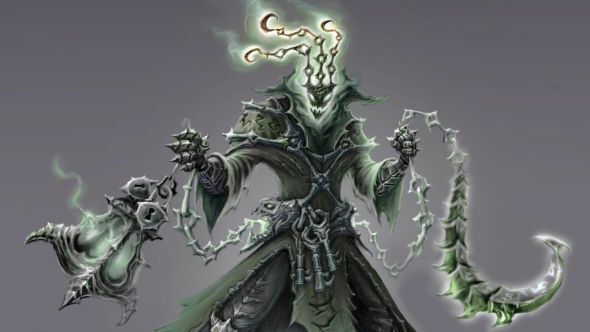 In an interview with PCGN, League of Legends’ lead gameplay designer, Andrei ‘Meddler’ Van Roon said that Thresh, the Chain Warden, nearly occupied a very different spot on the Rift. Since his release in 2013, Thresh has been a popular support in League of Legends at both the amateur and professional level, and is currently the fourth highest picked champion in that role (behind new champion Pyke, as well Morgana and Nami). Check out our list of the best MOBAs. At some point, however, direction changed drastically, as “at some point somebody walking past the desk, not even involved with the project, just went ‘oh, that’d be really cool as a support, because we don’t have anything like that’. 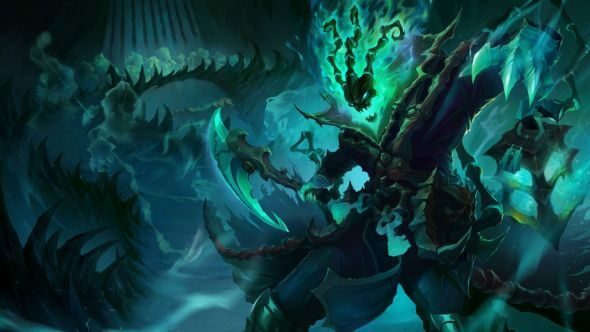 The latent player desire for a dark, aggressive support encouraged Riot to pursue the new direction, and Thresh gradually evolved into his current state. That same desire also partially influenced Pyke, another “darker, more menacing support.” The Bloodharbor Ripper is an uncommon hybrid of a support and an assassin, a concept that Meddler says stemmed from a desire to ensure Thresh wasn’t the only champion players had access to if they wanted to play a support with a difference.